How high are realtors´ and lawyers´ fees in Jamaica? What about other property purchase costs? 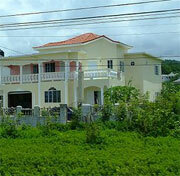 How difficult is the property purchase process in Jamaica? In purchasing property the first step is to make an offer. Upon acceptance by the vendor, a land survey and title search is conducted to confirm if there are any other claims or conflicting interests registered against the property. Once fully satisfied, the buyer is advised to lodge a caveat on the property to prohibit any other interest from being registered against the property, until transfer has been completed. There are two kinds of land titles in Jamaica. A common law title is a certificate of ownership used for unregistered lands. However, this is not a full title to the land. Nonetheless, a common law title can be upgraded to a registered title. This registered title is both legal and official. The Registration of Titles Act stipulates that the original must be retained at the Office of Land and Titles, while a duplicate is provided to the proprietor. The Agreement for Sale is then prepared, normally by the vendor´s lawyer. It is usually signed by both parties either at the agency (if a real estate agent is employed) or in the presence of a lawyer. The transaction becomes official and binding upon signing the agreement. At the same time, the buyer will be required to pay a deposit of about 10% - 20% of the selling price, depending on what has been agreed upon, and to pay his share of the stamp duty on the transaction. It is normal for payment to be made in a number of installments. It is important to note that foreign currency remittance for the purpose of purchasing real estate is prohibited without the approval of the Bank of Jamaica. Consent from the Exchange Control Department of the Bank of Jamaica is required prior to engaging in purchase agreements. After signing the sale agreement, an application should be submitted to the Office of the Registrar of Titles, and government duties paid. An important reminder: documents on conveyance of land must be stamped within 30 days of signing, to avoid substantial penalties. The transfer of the deed signals the completion of the sale. If the purchase is in cash, the time it takes to complete will depend largely on the participating entities. On the other hand, if a mortgage is involved, the completion can last up to three months or more from the date of signing. The whole process of registering a property can take around 49 days to complete. 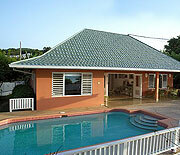 Lawyers attend to almost every aspect of a property transaction in Jamaica. Legal fees are generally around 1.50% to 3% of the purchase price, plus 16.5% General Consumption Tax (GCT). Stamp duty is equally shared between the buyer and the seller. Currently, stamp duty is charged at 4%. Registration fee is around 0.50% of the property value. It is payable at the National Land Agency. Transfer tax of 5% of property price is paid by the seller. Real estate agent´s fee is generally 3% to 5%, plus 16.5% GCT, and is negotiable. Traditionally, the seller pays the agent´s fee, however, it has become quite common recently to pass the cost to the buyer. How landlord-friendly is the law in Jamaica? Vacationing,I have been in Negril and Montego Bay Jamaica. It is tropical paradise there, very hot and sunny. The Carribean Sea is fun and a splash! The people want prosperity and peace. The primitive nature there is a raw, natural wild! Hi,@tia mills I'm look to but peace of land in Jamaica. Also I would like to know what kind of documents should the seller have before considering to buy the land. And what if land is on tax roll but its not in the seller name would that be any problem.are from long as the seller has a diagram I'm ok to buy the land. Please help me out!!! !